Get your holiday packing underway with these essential Aveda hair care travel kits available in store at Guildford or Walton Mary Ann Weeks Aveda salons now. 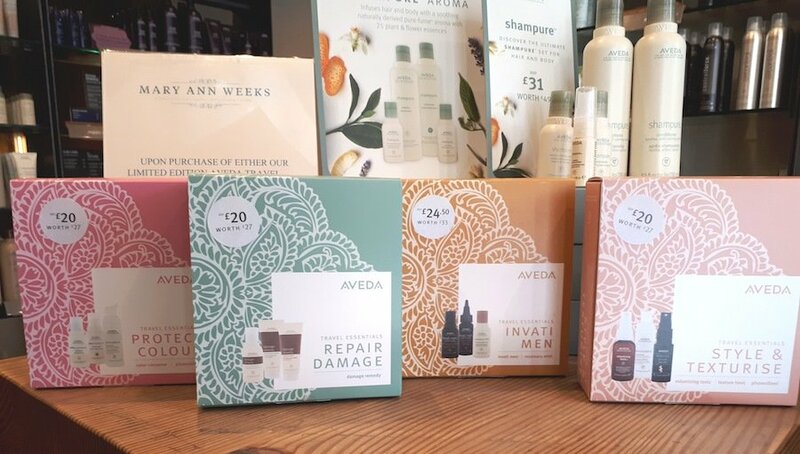 Great savings to be had on these trio Aveda 50ml travel size best sellers, including kits for damaged, coloured, thinning and styling hair care needs. Savings from £7 a box upwards. Buy yours now to avoid disappointment as stocks are limited!